What’s the matter with you, bamboo? Sustainable design has been the expression on everyone’s lips with the realization that natural resources we have taken for granted are finite. As the forests thin out and at a less attractive rate than select Hollywood types’ hairlines, designers look to being conscientious of their choice of materials. 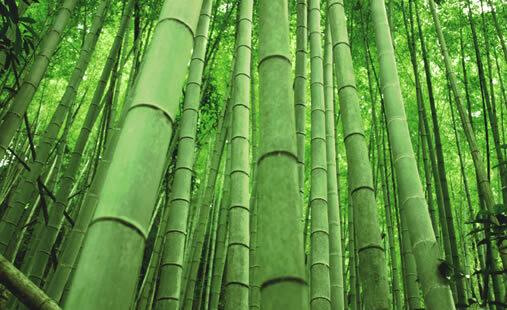 Certain issues come up because bamboo grows naturally in Asia, an ocean away from our backwards. It is then treated either with heat or chemicals like formaldehyde for longevity. Some say that it affects the quality of indoor air. 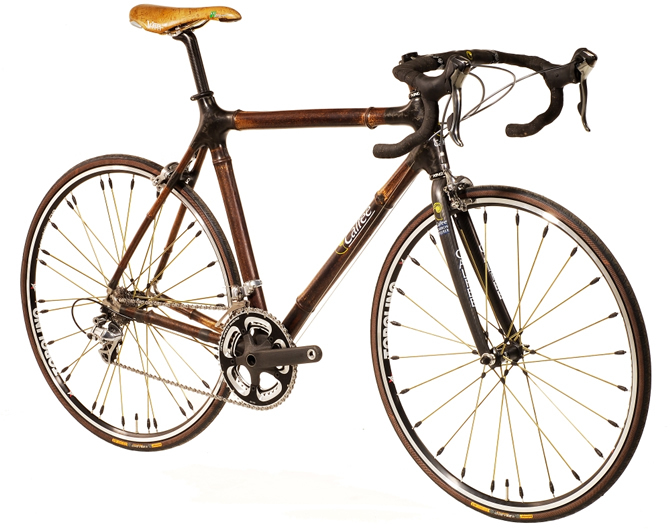 The Calfee-designed bike is made of bamboo sourced from Taiwan. The bamboo is shipped to California where it is heat-treated and then shaped. It is a beautfiul bike weighing about 19 pounds. Isn’t coveting a sin? Forgive me. 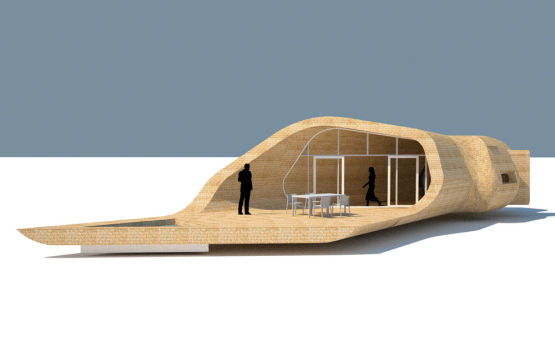 Structures like Soren Korsgaard’s woven house were conceived with the idea that it would be built in a region that does not experience extreme weather and fluctuations in temperature. To build such a structure in Canada would be as useless as a sequel to ‘Speed.’ Worse would be to ‘Titanic.’ Disastrous at best. SANS is a collaboration between designer Lika Volkova and Alessandro Devito. The designs include womenswear made of sustainable fabrics made of bamboo (!) and silk. The designs’ simplicity is so elegant that Pol Chambost’s vases look too embellished. Bambu‘s decorations for the home give a very natural element to the modern household’s ambience. 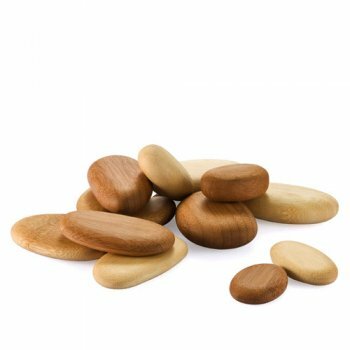 The natural tones that their bamboo pebbles are subtle but do not go unnoticed. Imagine having such pebbles in the bath, with white scented Diptyque candles for a relaxing Sunday night soak. The idea of relaxation is hard to conceive, on any other day, but the last weeks have led me to contemplate such an idea. Having the time to relax is definitely luxury. Nothing says luxury like having the choices and then making the right decisions when buying. I trust that you understand the underlying processes to having ‘sustainable’ materials shipped from afar. It would be a better choice than to produce an unwanted sequel. The chemistry between Keanu and Sandra is a one-time deal. Has anyone seen ‘The Lake House”?